Want to have an amazing time in London? Then make sure you know where to go! Especially eating at the right places will ensure a great stay. 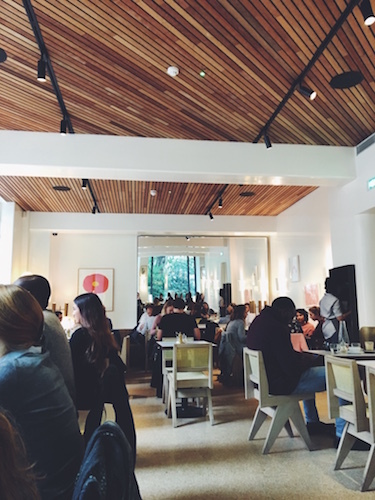 Having a fantastic lunch in an amazing atmosphere will guarantee great conversations and nostalgic memories during your vacation in London. 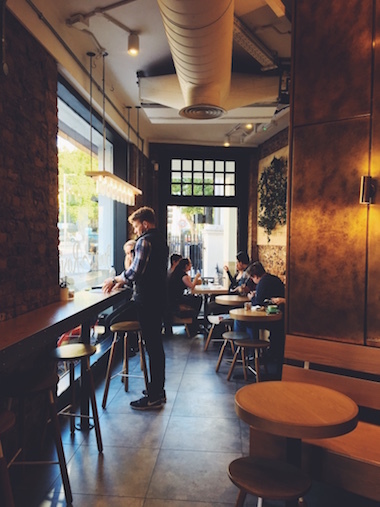 Have you ever visited a place and wandered through the streets hungry, just to end up eating in a dump? Yup, well I’ve been there and done that as well and it never seemed to be satisfying or fulfilling. 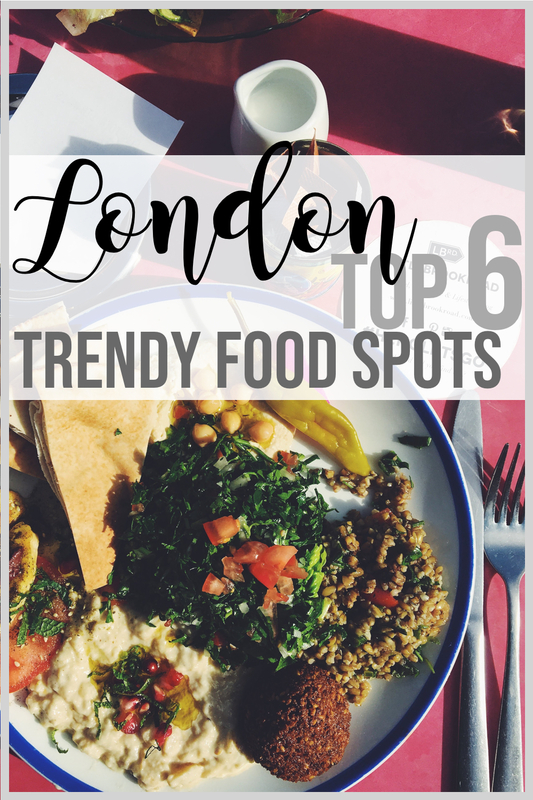 That’s why I came up with this ultimate foodie checklist of 6 must eat hidden gems of London city. Go to these places and enjoy each bite while have a vacation worth remembering in 2019. Extra: I also added the top 3 must order dishes for each restaurant so that you can sit back and enjoy! 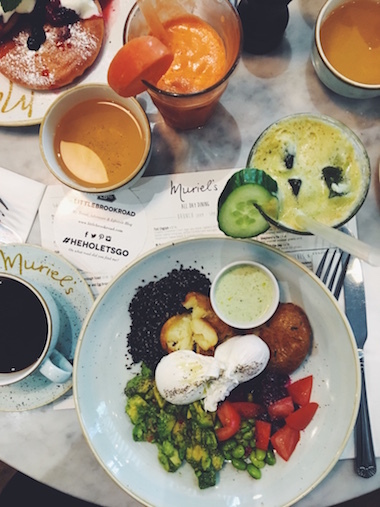 Muriel’s Kitchen is a great place to start your day with a cup of coffee and amazing breakfast. 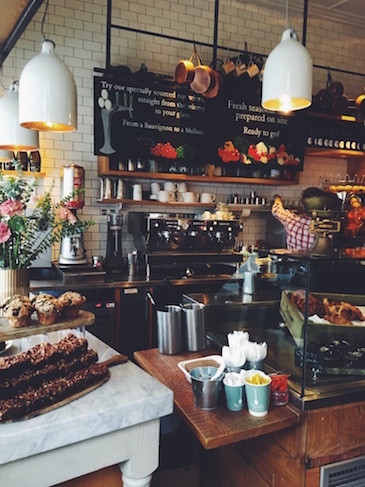 Head on over in the morning and be welcomed in by the smell of baked goods and fresh pressed juices. It can get really busy in the weekends so making a reservation is recommended. 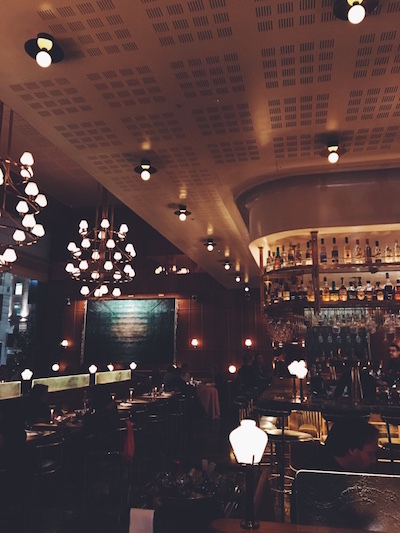 The vintage look of the restaurant reminded me of the famous coffee shop where the cast of F.R.I.E.N.D.S always sat. 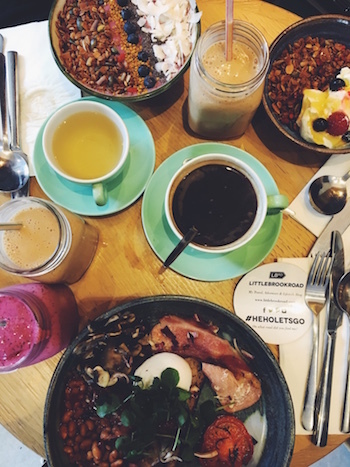 Lunch hot spot London #2: Granger & Co.
Granger & Co. is an ultimate hidden vegan lunch spot where you’ll find all kinds of artistic designers and stylish hipsters. The menu consists of an elaborate collection of greens that are combined to satisfy your needs without conflicting with any diet you might be on. Why? Because this place is healthy and delicious! 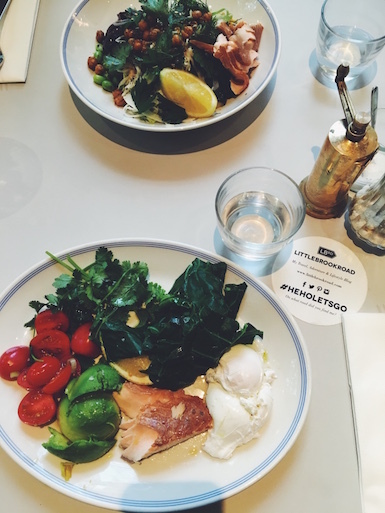 A Corner of The World is right smack in the middle of London’s upcoming area: Shoreditch! Owned by a Portuguese couple this cafe is a place where all bloggers come to meet up with each other and share the newest trends. Aquavit is a 1 starred Michelin restaurant that focuses on contemporary Nordic dining. 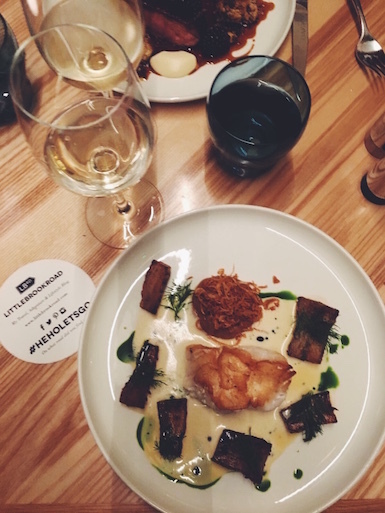 Not only are the dishes inspired by the Scandinavian lifestyle, so is the interior and design of the joint. 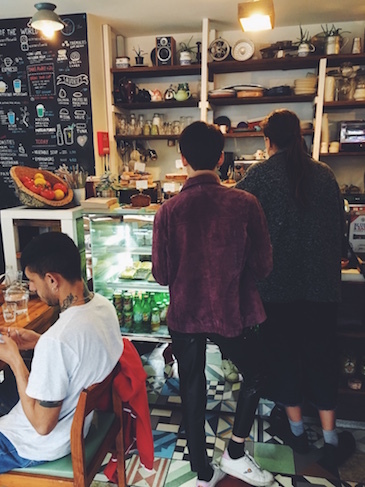 Brown & Rosie’s is the place to be when the sun is shining and you’re looking for a easy Sunday morning. Around 10:00 it can really get busy so make sure you’re on time or take a seat outside and wait a bit in the sun. No time to dine? Then grab a take-away salad or wrap to go. Completely natural and free from preservatives: the fresh exotic fruits and vegetables in their juices will give you a magical boost. 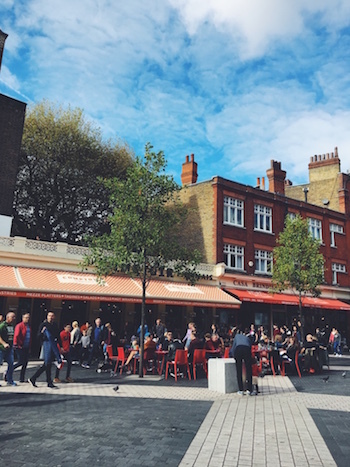 Comptoir Libanais can be found in different locations across the city however I would definitely recommend the one in South Kensington because of their tables outside. 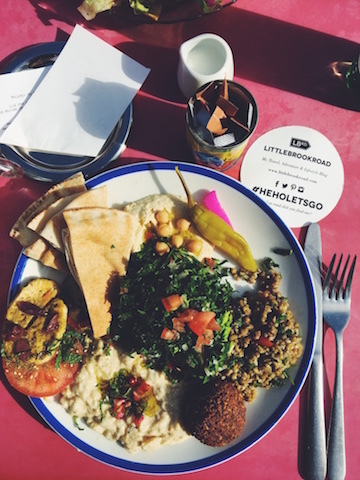 Enjoy a spicy Middle East lunch while bathing in the warm sun right in the heart of London. Got rain? Then the interior of this place will brighten up your day! Filled with vintage movie posters and eclectic bright patterns: the place is swinging. 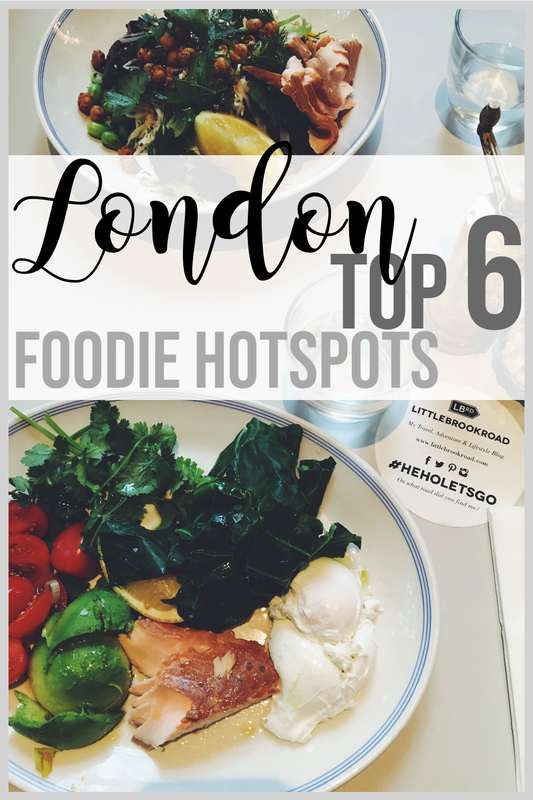 Visit these hot spots and you’ll enjoy London’s restaurants and lunch bars like a real foodie blogger! Extra tip: save the addresses in your Google Maps by starring them as your favorite so you wont end up wandering the streets with a rumbling stomach. 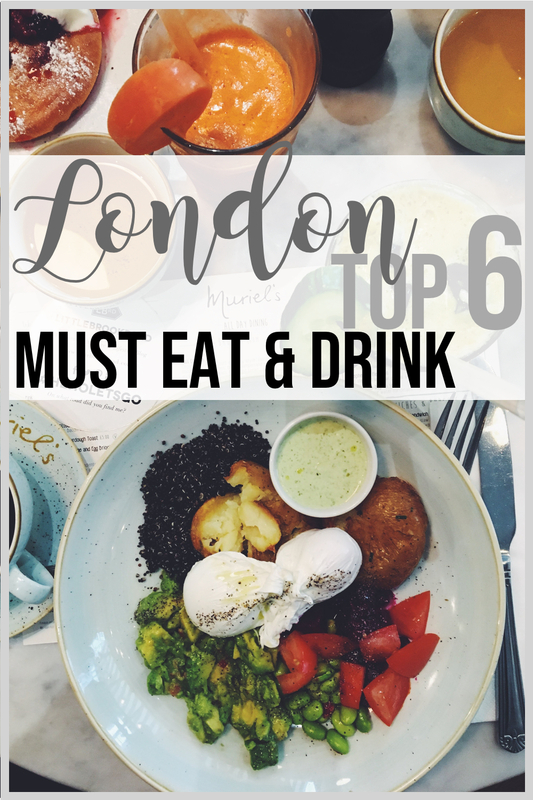 Have a relaxed & fun time in London and remember to check out my other travel tips for your next holiday filled with hidden gems such as: Amsterdam, Bangkok, New York and more! P.s. for the Pinners… Pin away with these 3 easy to use pics below & follow me on Pinterest! Geweldige site en leuke tips! Wanneer ga je weer een stukje schrijven?